Viking warriors have a reputation for strength and brutality. Bring out your fighting spirit on the LARP battlefield with the Viking Sword Frog. This leather sword frog is great for LARP weapons, including swords, axes, and daggers. Made of soft and sturdy 5/6 ounce chrome tanned leather available in black or brown, the front of this handmade sword frog features an accent panel made of 3/4 ounce vegetable tanned leather available in a variety of color options. A round Viking shield concho, featuring a triskele and antique brass coloration, adorns this front panel. 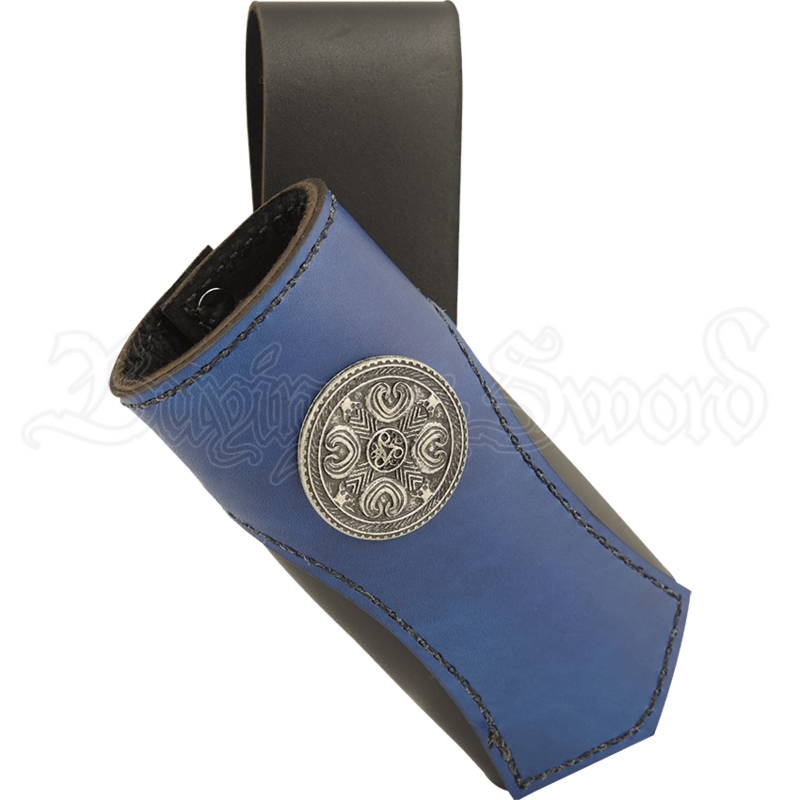 The tube-shaped sword frog is easy to wear on belts up to 3 inches wide using the attached back loop. 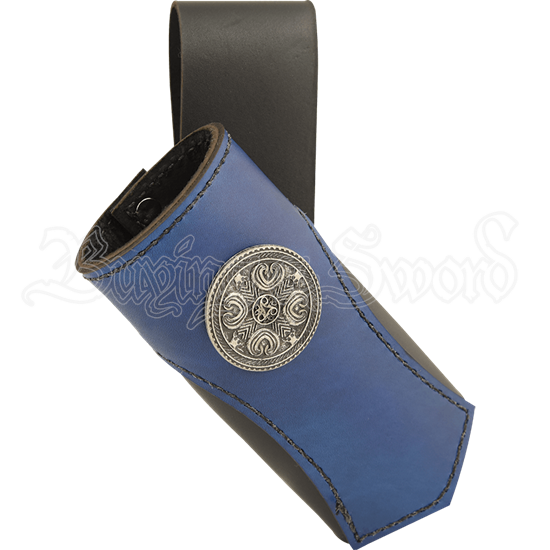 Harness the power of a Norse warrior when you carry your favorite LARP weapon with this leather sword frog.